India has highlighted specific areas that the UN member states should focus on while discussing the broad subject of revitalizing it. 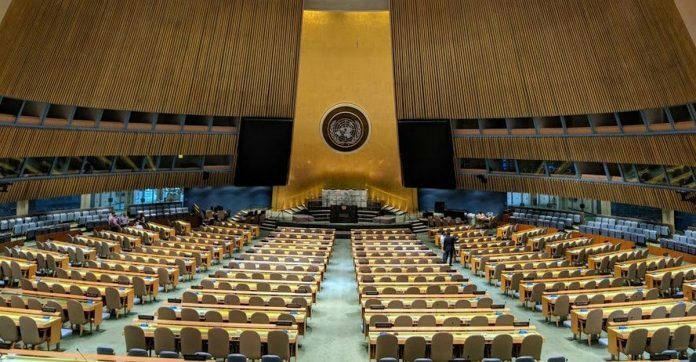 United Nations: India has called for a collective international effort towards revitalisation of the 193-member UN General Assembly, saying the “closest institution to a global parliament” must lead the multilateral effort to address challenges face by the world. India’s Deputy Permanent Representative to the UN Ambassador K. Nagaraj Naidu stressed that the reform of the Security Council is central to the overall process of revitalising the United Nations and there is no better platform than the General Assembly where this process can be driven in the most democratic and representative manner. “The 75th anniversary of the United Nations will be celebrated in less than two years from now. We must take advantage of this significant milestone in our collective quest for a revitalized General Assembly which is capable of addressing global challenges, shaping peoples’ aspirations and transforming lives across the world,” Naidu said Monday. Speaking at the informal meeting with former Presidents of the General Assembly on Revitalization of the United Nations in favour of a strengthened multilateral rules-based system’, he said the General Assembly, which includes a significant number of environmentally vulnerable countries, is uniquely placed to accelerate efforts for Environment and Climate Action. Describing the General Assembly as the closest institution to a global parliament by virtue of being the chief deliberative, policymaking and representative organ of the United Nations, Naidu said no other global institution can match its representative character and the credibility that it derives from such representativeness. Emphasising that multilateralism is coming under severe strain because of multiple developments, Naidu said that global challenges cutting across boundaries and regions cannot be addressed in isolation and the General Assembly, with its broadest possible participation and ownership in decision-making, must lead the multilateral effort. He also highlighted specific areas that the UN member states should focus on while discussing the broad subject of revitalizing the UN. He pointed out that there is need to restore the sanctity of the annual General Debate, the high-level gathering each September of Heads of State and Government for the General Assembly session. “Multiple high-level events running parallel to the annual General Debate undermines importance of this most important event on the UN calendar, he said adding that there is also need to ensure that the General Assembly is well attended during the annual general debate when global leaders congregate at the UN. “Images of world leaders addressing a General Assembly with empty seats does not send a positive signal. Further, the office of the President of General Assembly must be adequately funded and it should not be left to the individual PGAs to raise funds for discharging their activities,” he said.